Purchase this product now and earn 970 Points! Rich flavor. Not so rich price. 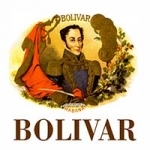 Made by the cigar pioneer Estelo Padron, the Bolivar Cofradia is not only reasonably priced but is one of the most flavors packed Hondurans on the market. With a core made of a Connecticut binder and Honduran and Nicaraguan long fillers, a thick full bodied smoke delivers an aromatic vibe to the whole scene. 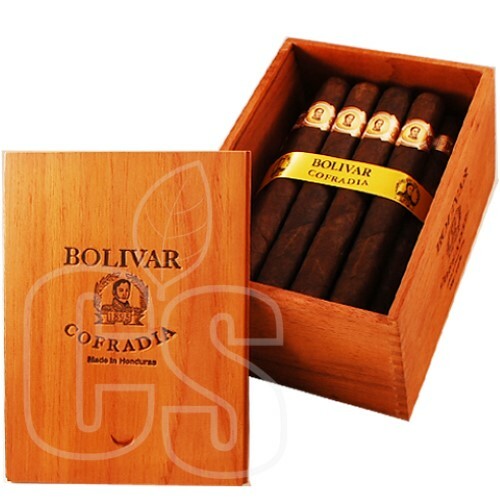 Not to mention the gorgeous Connecticut Broadleaf/ Ecuadorian Sumatra leaf wrapper that helps the cigar finish with a bold rich spicy taste. Overall, there is little if nothing that will disappoint you about this respected smoke.